For the first time, we have a study which looks at the effect of vaping on the lungs over the long term. The result? No negative impact on the lungs over a period of several years. Most vapers are ex-smokers, and could be expected to have some lung damage. To get round this problem, the researchers decided to seek out vapers who had never smoked. This wasn’t easy – at the time just 0.01% of people who have never smoked, vaped! The vapers, along with a control group of never smokers, were followed for a period of three and a half years. Their health was measured on a range of factors, including lung function, respiratory symptoms, carbon monoxide, exhaled breath and high-resolution computed typography – which takes an image of a slice of the lungs. This was a small study – only 9 vapers completed the study, and three and a half years is time limited. But the implications are huge. For the first time we have long term real world data that shows, at least in the time period studies, that vaping doesn’t harm the lungs. The lead author of the study, Professor Polosa, kindly took the time to answer our questions on his study. The reported conclusions from the study are about lungs, but you also looked at the blood pressure, heart rate and body weight of the subjects. Is it possible from this data to reach any broader conclusions on the effect of vaping on health? The respiratory system is the primary target of any potential harmful effects of chronic exposure. Therefore, any search for early health changes from long term EC use would be more logical in the lungs than in the cardiovascular system. That is why we emphasised conclusions about lungs. In any case, not a single vaper had negative effects on blood pressure or heart rate throughout the study. This may be a small study, but the data from different studies on lungs, including your own, is starting to build up. What picture are the combined studies giving, and how confident can smokers be that vaping is substantially better for the lungs than smoking? Data from cohorts of smokers with chronic respiratory diseases (including asthma and COPD) switching to ECs indicate that substitution of conventional cigarettes with ECs is unlikely to raise significant health concerns and appears to suggest clinical benefits. Studies with smokers with pre-existing respiratory disease switching to ECs is a good clinical model to prove harm reversal, but do not provide any information about the potential for absolute risk from vaping, because of the existing background damage from previous smoking. The strength of our study was to investigate the effect of vaping on lung health in regular EC users who have never smoked in their life. Given that EC aerosol emissions are much less harmful than tobacco smoke, it is no brainer that vaping is substantially better for the lungs than smoking. There seems to be limited data on the effect of tobacco cigarettes in the first few years of smoking. But based on your experience and knowledge, what might we have seen in a similar group of smokers? Well, that depends on the duration and intensity of smoking. If somebody is smoking, for example, 5 cigarettes/day it will be highly unlikely to detect changes in the first few years of smoking. However, in more established smokers of 10-20 cigarettes/day, significant negative changes in spirometric indices have been shown as early as 2.5 years. Therefore, duration of EC use by the vapers whom we studied might have been more than adequate. I noticed that the amount vaped appeared to make no difference to lung function. There have been concerns with sub-ohming because of the quantity of vapour inhaled a day. Does this study go anyway towards allaying these fears? Well, that depends on how much e-liquid is consumed in a day. The absence of lung damage in our study cannot be generalized to more intensive vaping behaviours/consumptions. studies in a larger and more diverse group of vapers are needed before drawing firm conclusions. You mention that e-liquid flavourings often contain high levels of diacetyl. 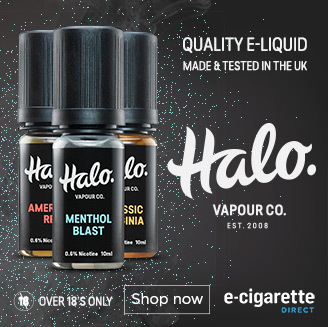 In the UK at least, many suppliers have eliminated diacetyl from e-liquids, although we still find it occasionally when testing e-liquids sent to us by new suppliers. Did you know whether any of the e-liquids your subjects vaped contained diacetyl, and how concerned are you about the presence of diacetyl in e-liquid? We do not have that information, but even if e-liquids were containing diacetyl I would not be much concerned. It takes very high levels and long persisting hours of exposure to diacetyl to cause “popcorn lung” disease. That is known to occur only in specific occupational settings (e.g. workers in the microwave popcorn industry). And it has never been reported in vapers, despite widespread EC use (millions and millions of users worldwide). Obviously, it is not recommended to use e-liquids with high concentrations of diacetyl. Quite frankly, I would be more concerned about the unknown unknowns. It is reasonable to assume that flavouring chemicals (or their thermal degradation products) in the EC aerosol could potentially cause other respiratory effects such as irritation or sensitisation. Many smokers and health professionals continue to express a fear of popcorn lung. 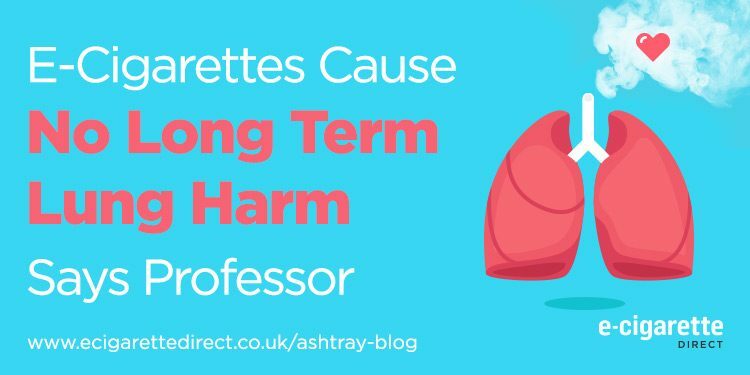 What are the chances of getting popcorn lung for smokers and vapers, and how does this compare with the chances of getting lung cancer? How many confirmed cases are there of a vaper getting popcorn lung? What would you say to a smokers and health professionals who are worried about vapers getting popcorn lung? Why this fear? There is no rational basis for concern. Popcorn lung disease has been described in microwave popcorn workers exposed to very high levels of diacetyl and for long continuing working hours. Despite widespread EC use, there is no evidence of an emerging popcorn lung disease epidemic! In fact, I am not aware of a single case of popcorn lung disease in smokers let alone in vapers (levels of diacetyl in tobacco smoke can be up to 750 times higher than in EC aerosol). In our study, it was reassuring to note that no features consistent with early sign of popcorn lung disease were described in any of the vapers. Health care professional and smokers fearing popcorn lung disease should be reassured that there is no evidence for this to happen in EC users. In their recommendation to the most effective ways for smokers to reduce their risk rapidly, health care professional should consider all the pathways available and select the ones that give the greatest probability of eliminating exposure to tobacco smoking once and for all. For some smokers, the best outcome may be a long-term switch to vaping – tolerating the small residual risk in return for a higher likelihood of success. This is the first study to look at the long term effect of vaping on the lungs, and has huge implications for public health. But so far there’s been very little coverage of it on the media. Why do you think they have given your study so little coverage, when so much negative media coverage has been given to e-cigs in the past? It is a well-known fact that bad news dominates the headlines and e-cigarette stories are no exception. Hence, I am not much surprised that – in spite of the important implications for public health – there has been very little coverage of this study on the media. The irony is that if our data were to show signs of lung damage the news would have been all over the place (and probably we will have more chance to secure funding for a larger study!). What next? Are you continuing to monitor these vapers, and are there any plans for a follow up study? If we are lucky enough to secure additional funding and if completers of the study will be available for further follow-ups, then yes – there will be a second study with prospective evaluations at 5-yr and 6-yr. And we hope to confirm our initial positive findings. You can read the full study on Nature.com here. Thank you to Professor Polosa for once again taking time out of his busy schedule (these answers were written between flights!) to answer our questions. You can see more interviews with Polosa here. E-Cigs Reversing Harm From Smoking? Interview with Professor Polosa. Diacetyl in Electronic Cigarettes: What you need to know! So, diacetyl myth successfully busted. Glad to read this. In the eyes of public health posers, e-cigarettes seem to be too successful for their own good, lol. It’s easy for them to support NRT-s with only 6% success rate (permanent success rate, of course). That way, more money is left for we all know who. Even dual use is very beneficial in some cases. This summer I finally found a right product for my uncle. Now, he doesn’t miss any opportunity to tell me he can normally breathe. Anyway, back OT – perhaps we should have some list, directory, whatever you call it, of vapers (especially the long term ones). There’s now a substantial number of people vaping already for years. Only in my house, daughter and yours truly – 5 years each. I am concerned that Vaping May have affected my health. I have been vaping for the past 8 years and I am getting out of breath constantly. Prior to this I smoked for around 10 years. I am 43. I have also developed a tickly cough. Debating whether a trip to my GP is required?